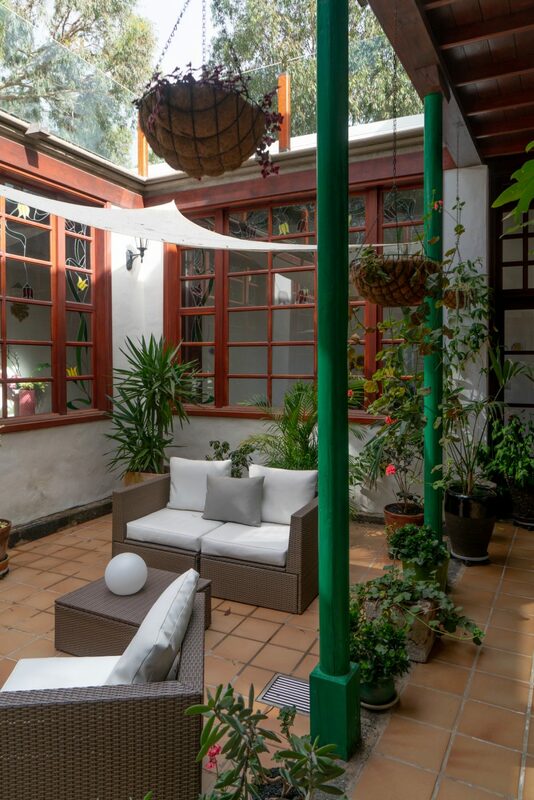 During my trip in Lanzarote I stayed in Villa Delmas, a beautiful countryhouse in Haria. 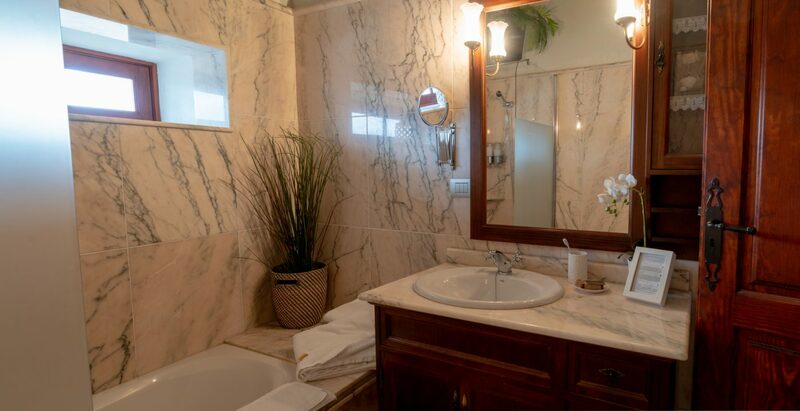 The property is very centrally located in this tranquil little town. Villa Delmas that was built over 300 years ago by Ambrosio Perdomo and still remained in the Perdomo family until now, after 7 generations! 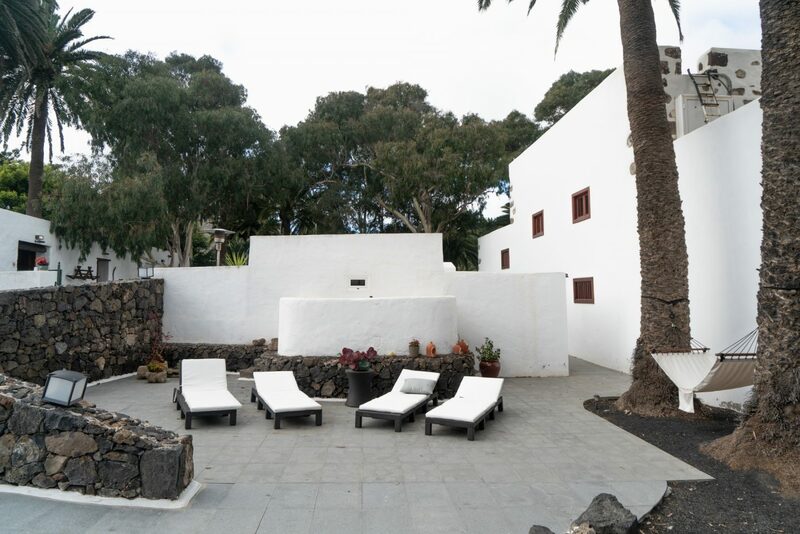 Villa Delmas is the first Casa Emblematica in Lanzarote. It is considered a monument for its architecture, gardens and for the personalities who lived in it. 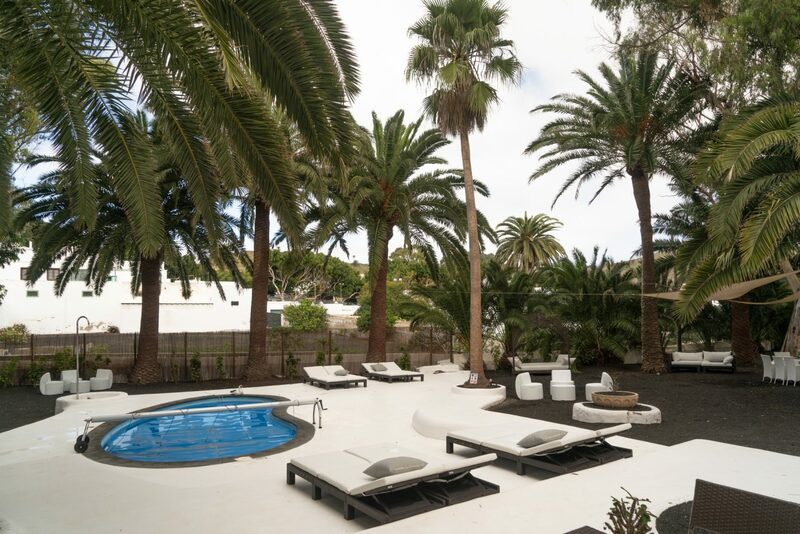 It was the famous artist César Manrique who designed the pool and garden area! Basically if you want to see a work of Manrique, you don’t even have to leave the house: Bonus points for Villa Delmas! When I arrived in Lanzarote, I sent a WhatsApp message to Alvaro, the customer care representative who would take care of my check-in. There is no permanent reception on site so we set up a time and when I finally reached Villa Delmas he greeted me personally and showed me around. Check-in was very smooth and friendly. There is a free closed-off parking area and I was given a remote control to open the gate during my stay. The outside areas are looking great, completely in line with the rest of the design you’ll see on the island of Lanzarote. Most of the major attractions in Lanzarote were designed by local artist Cesar Manrique. Read my blog post about it here. 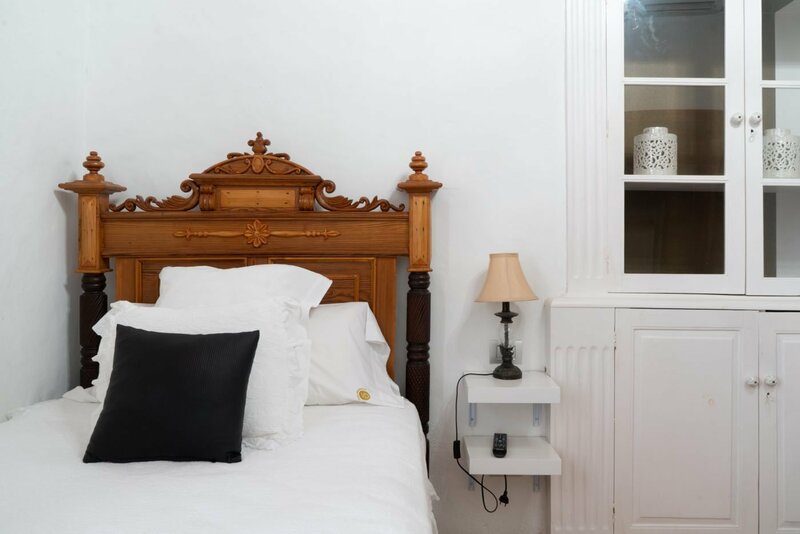 I stayed in the yellow room at Villa Delmas, a classic room with two single beds. It was decorated with high-quality materials and it’s definitely larger than standard hotel rooms. The room had only one window which made it a bit dark, although you don’t really spend much time in the room during the day, right? It also lacks a writing desk so I edited my pictures in bed for once! 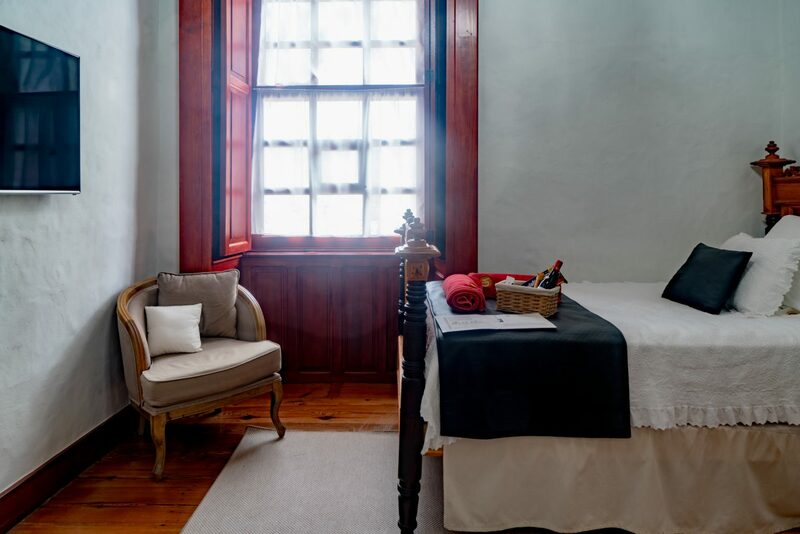 The other rooms are a bit more modern than the yellow room so I’d say the Blue room or the Junior Suite are the better options for a stay at Villa Delmas! Breakfast is included in the stay. Each day you get a selection of bread, fruit, eggs, ham and cheese, and coffee plus orange juice. My initial thought was it would be nice if the breakfast had a bit more choice, but then again, it isn’t a hotel and maybe I’m spoiled after all my travels. There are only a limited amount of guests so they would probably have to throw lots of stuff away if they made it too extensive, but a bit more fruit and bread options would have been nice. The plates on the table match the colour of the room you’re staying in, which I thought was a nice touch! I had an absolutely lovely time at Villa Delmas. There were moments I enjoyed it so much, I found myself sitting in the patio or the garden soaking up some sun instead of going out to explore the area. The rooms are located around the patio, which makes it very intimate. I was there for a week, so there was more than enough time for both exploration and relaxation! 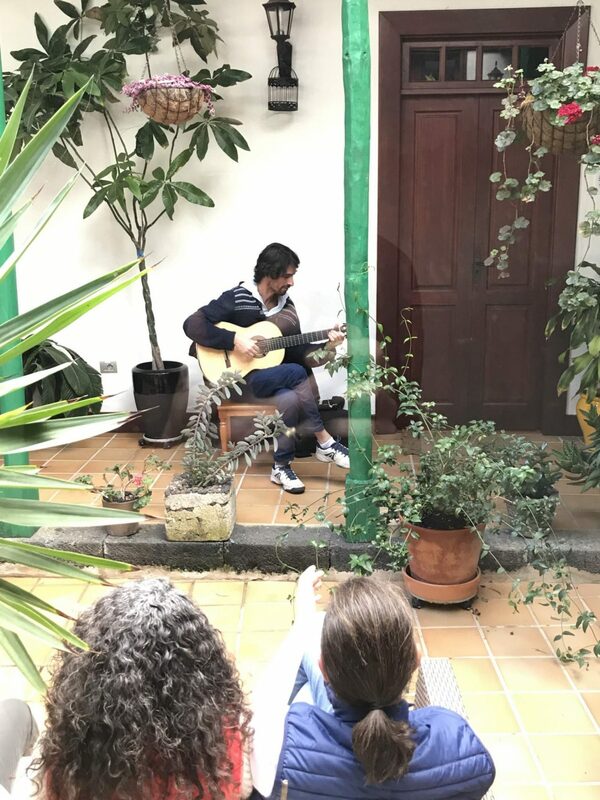 On one day, there even was a mini guitar concert in the patio and a lovely barbecue party in the garden with a lot of local guests. 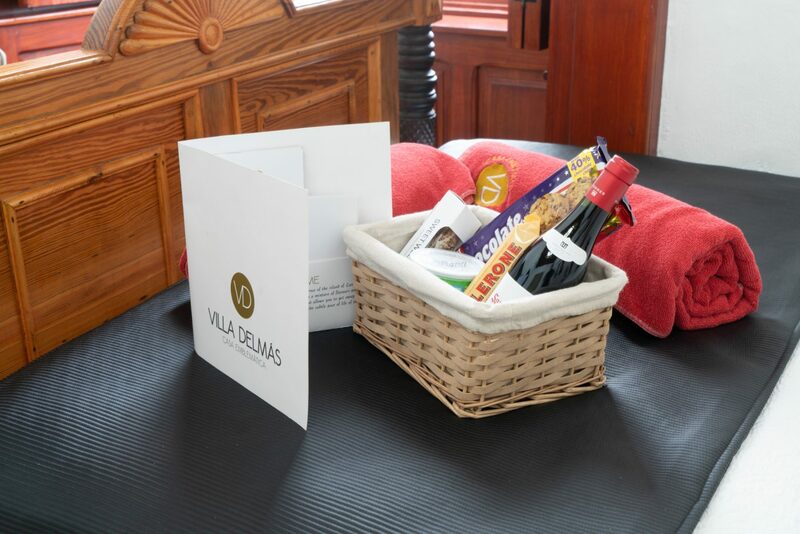 Events like these show how Villa Delmas is different from other accommodations in Lanzarote. 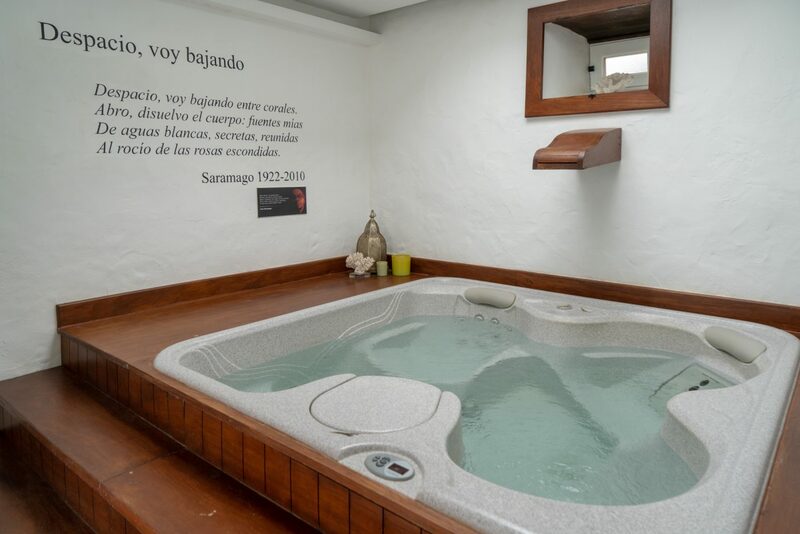 Apart from the heated pool in the garden, there’s also a sauna and Jacuzzi on site. Do you need more? 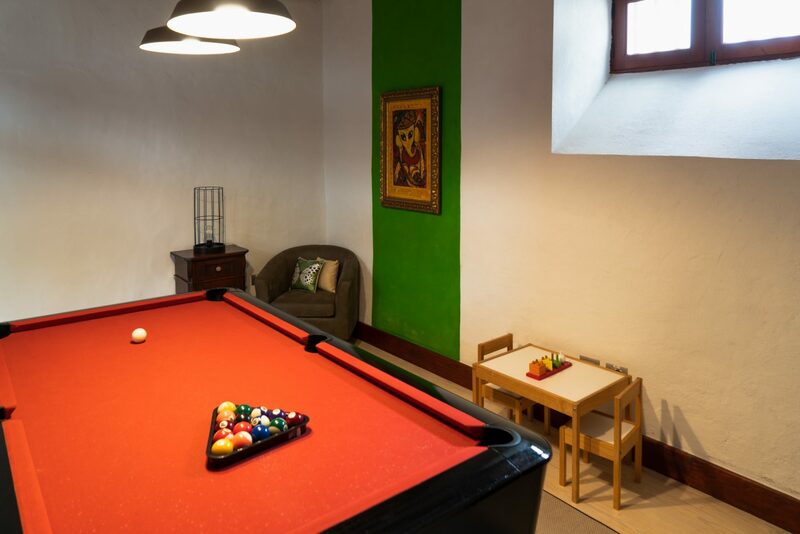 Now that you know where to stay, you probably wonder what to do in Lanzarote. Well as I mentioned earlier, artist Cesar Manrique had a major influence on development of the island. I listed my favourite Cesar Manrique attractions in a separate blog post. And if you want to do something out of the box, head to the nearby island of La Graciosa! Also please check out my Instagram account @bengoesplaces to see more pictures from Lanzarote.